﻿ Best Price on Hotel Cap Macabou in Le Vauclin + Reviews! Facing the Caribbean Sea, Hôtel Cap Macabou offers an outdoor swimming pool, sun terraces and gardens. Free Wi-Fi connection is available as well as a solarium. The air-conditioned rooms at Cap Macabou feature views of the gardens and the sea from its terrace or balconies, plus they have cable TV, a microwave and a fridge. The private bathrooms offer free toiletries. Some rooms have a spa bath and a hot tub. The on-site restaurant has a Sunday buffet with home baked bread, pain au beurre chocolat, a specialty of Martinique. 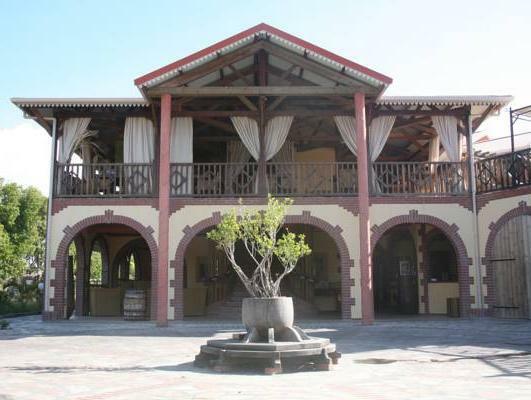 It also serves international-style meals and characteristic Creole cuisine. The Grand Macabou Beach is 2625 feet from Cap Macabou, and Salines Beach in Sainte Anne is 12 mi away. Martinique International Airport can be reached after a 40-minute drive. Please note that during the low season, from April 1st, 2014 to July 7th, 2014 and from September 1st, 2014 to December 12th, 2014, the restaurant will not be open for lunch services. Dinner services can be provided during these periods only prior reservation. The reservations have to be made at least with a 12-hour anticipation. If you require further information, contact the property. Contact information can be found in your booking confirmation.